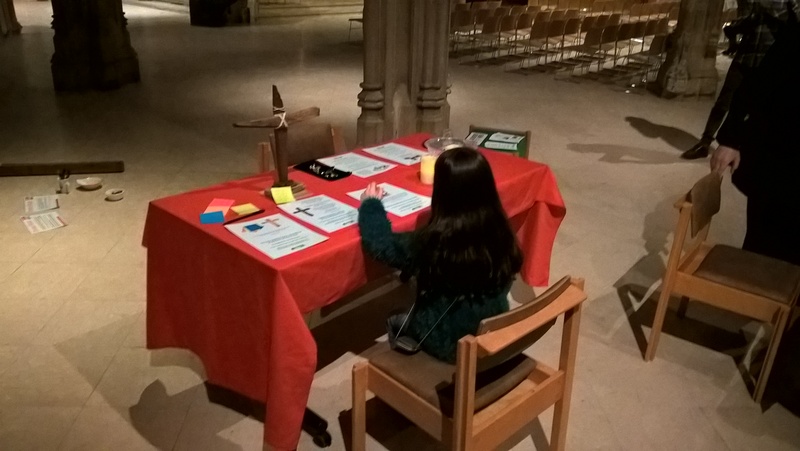 With the Week of Prayer, 22 – 28 March 2015, only announced just over a week ago, already as at the time of writing, 36 out of 168 hours have been booked, both by individuals and churches. So far, 9 different churches are represented. With over 5 weeks to go, this is really great news, keep the bookings coming, there is no problem over-lapping with others. I hear that one church (not yet represented below), is hoping to have a whole 24 hours of prayer just within their fellowship! 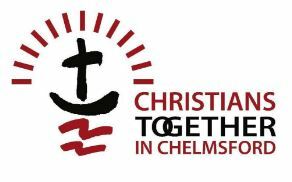 I have been busy the last week sending out emails to churches, both individually and via Churches Together in Chelmsford (CTiC) and Chelmsford and District Evangelical Fellowship (CADEF). By the end of this coming week, I hope to have had them sent to all of the approximately 100 churches in the Chelmsford District. Please pray that church leaders and others have time to read them and are led to take part. If your pastor, minister or leader has not yet mentioned the Week of Prayer, make sure you speak to them! I’ve had a number of supportive messages from various quarters this week, including from Bishop Alan, at Brentwood, who leads all of the Catholics in the area and beyond. Today, (Sunday), I was privileged to have been invited to speak on the BBC Essex (Radio) Breakfast Show. 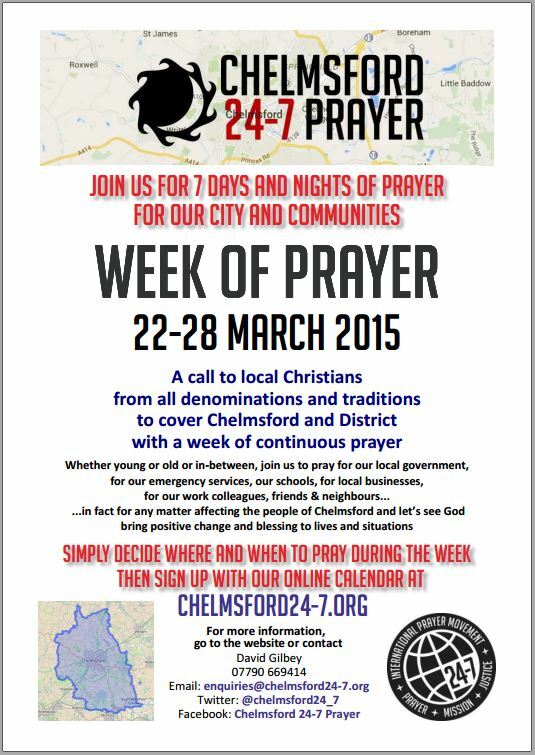 I was interviewed by presenter Peter Holmes about Chelmsford 24-7 and especially our Week of Prayer and had a really good opportunity to spread the Word. You can listen to the interview by following this link. Also good news, is that I’ve been asked back to BBC Essex on the morning of Sunday 29th March to say how things went and it is hoped that this will be preceded by the playing of a recording to be made of people praying and talking about the Week of Prayer, in the Centre of the City. This will be recorded around midday on Wednesday 25th March. Further information will be released in due course and I hope that a good number will join me near to the “Town” sign by M&S. Put that date in your diary now if you are likely to be around. God is good. We are slowly and surely becoming known and supported and most importantly, lots of people are praying already! To be honest, it will be the unseen, “secret place” type prayers that will be the most powerful. Unity and love between our churches is our first goal and priority. Then all will know that we are Jesus’ disciples. Bless you all and thank you so much for your prayers and support. Exciting times ahead for Chelmsford and our District.